OHMIGOD!!! 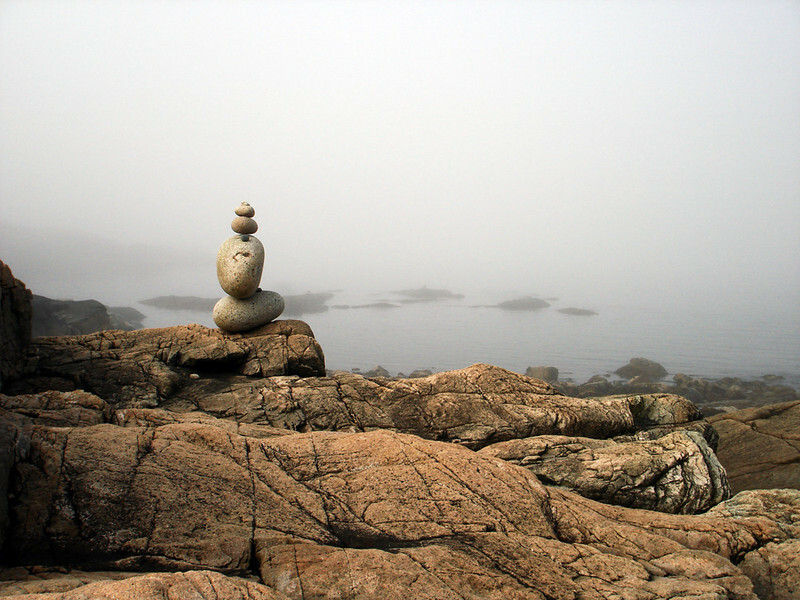 I couldn't believe my eyes when I landed at Little Moose Island one day and found a garden of stacked cairn sculptures. I had just been to a sculpture symposium at Schoodic and felt for sure that this was the work of Jo Kley, but I've since found another artist -- Michael Grab -- whose work this looks exactly like. Whoever did it, it's a masterpiece of patience and dedication and balance. The foggy day adds a lot to the presentation. Except for the first image, I've decided I'm not going to add any captions this time, as I think the work should speak for itself. Enjoy the show!